ENT Group of Los Angeles (Sherman Oaks) - Book Appointment Online! The physicians and staff of the ENT Group of Los Angeles provide a full range of specialty care for people of all ages in Southern California. Our highly trained physicians have proudly served the region with the latest in medical and surgical care of diseases related to the ear, nose and throat. We also offer experienced sub-specialists trained in facial plastic surgery, head and neck cancer, thyroid disease and more. All of our physicians are certified by the American Board of Otolaryngology and carry privileges at Los Angeles’s major medical centers. 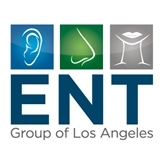 At the ENT Group of Los Angeles, providing an excellent patient experience is our ultimate goal. Our otolaryngologists are skilled, understanding and supportive. Our staff works together as a team to ensure we are responsive to your needs. He is worth the 3 plus hour drive I must make in order to see him. He is brilliant! Good personality. Very knowledgeable. Gets on with the task at hand.